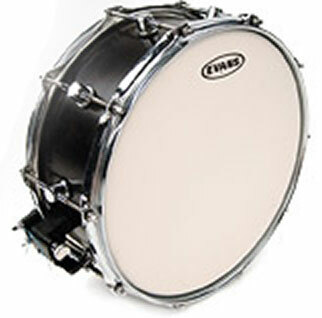 Power Center 14in snare drum head. The 10mil single-ply Power Center offers durability and focus in the center via a 5mil patch. Unique slots in the 5" diameter dot allow it to flex, keeping the head open at the edges. Coated.